Will the elderly benefit from the department of labor homecare ruling? Government rulings related to healthcare often have unintended consequences. Policy and law makers sometimes fail to give consideration to industry realities that arise as the result of what may appear to be clear and simple decisions. My least favorite for the past several years is Section 3025 of the Affordable Care Act that established the Hospital Readmissions Reduction Program. This program resulted in hospitals refusing to admit my clients for numerous reasons, preferring instead to place my clients on “observation” (rather than a formal hospital admission that supports the required stay for admission to a rehabilitation community) or refusing to admit my elderly clients at all suspected to have one of the specific conditions that would result in financial penalties to the hospital if my clients were to return within 30 days for any concern related to the same condition. Conditions many elderly experience like pneumonia, heart failure, COPD and more now result in financial penalties to hospitals. Holding patients on “observation” shifts costs from the hospital to the patient due to higher insurance costs paid by the patient and avoids potential financial penalties to hospitals for readmission. I’m sorry but age should not be an excuse to delay or refuse treatment. Did the government really believe that hospitals wouldn’t find ways to avoid financial penalties? Did any involved in the Act ever consider this possibility when the act was being written? Possibly not—the easy answer for hospitals is to avoid admitting patients who have the conditions specified in the Hospital Readmissions Reduction Program. Or possibly yes—avoid admitting the elderly in the hope that the person dies and no longer utilizes Medicare benefits that increase during the last several years of life. The August 21, 2015 ruling by the Department of Labor FLSA Regulations for Homecare Workers may be the most recent controversial ruling. This issue has bounced back and forth since 2007 in a decision posed to the Supreme Court, Long Island Care at Home, Ltd. V. Coke, 551 U.S. 158 (2007). Home care employees working for third party agencies who provide domestic companionship services will now receive minimum wage, overtime, and travel time pay. Companionship services are defined by the Department of Labor as fellowship, protection, and some care services that include dressing, bathing, feeding, meal preparation, and light housekeeping. In my opinion this ruling has pros and cons for care agencies and the elderly and the disabled that remain to be seen. For many years the Fair Labor Standards Act exempted persons working in private homes who provided companionship services for individuals because of age or infirmity who were unable to care for themselves. This meant that many families hired caregivers who worked multiple days in the household including staying overnight to provide care and that the question of overtime pay was never a concern. The current ruling brings parity to home care workers and similar caregivers in traditional institutions like nursing homes who are paid overtime for time worked over 40-hours a week. Will this ruling have any effect on home care agencies providing Medicaid services through home and community based services of the elderly, blind, and disabled? In Colorado the reimbursement rate for Medicaid HCBS is $15.36 per hour. Medicaid providers sometimes pay HCBS homecare workers a lower hourly rate versus the rate paid for private home care cases due to the reimbursement rate. Will care agencies providing both private pay and Medicaid services decrease the load of Medicaid patients in favor of private pay clients? 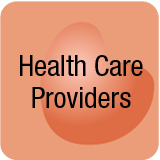 Private home care agencies charge $15-25 per hour depending on the services and location; rates vary from state to state. Home care agencies operate on thin profits and survive by delivering a large volume of service hours. Some home care agencies, called registries, receive a daily rate and the consumer or family directly pays the in home caregiver who is viewed to be an independent contractor. The ruling at the present time applies only to third party agencies—not to families directly employing home care workers. This brings up the ongoing question of families being employers versus having an independent contractor relationship with a home care worker. It also places in question how registries who offer independent contractors to consumers will respond to the ruling. Will this ruling result in more families hiring in home caregivers to work privately without checking backgrounds and ensuring that individuals are trained, trustworthy, and honest? We’ve all read stories in the news about caregivers–working for agencies and independently employed—taking advantage of the elderly. There are benefits to oversight whether provided by an agency or a care manager. This ruling is one part of a much broader issue. As discussed in my book, The Caregiving Trap: “Whether care communities or in-home care agencies, all types of traditional healthcare and service providers face challenges as the number of older adults needing services exceed the ability of companies to hire, train, and retain qualified employees.” The home care industry struggles to find and retain qualified employees; turnover occurs in the range of 50% or more annually for many reasons that include lack of training, caregiver stress, and inconsistent schedules. Many home care workers are employed by multiple companies to achieve a 40-hour (or more) work week. 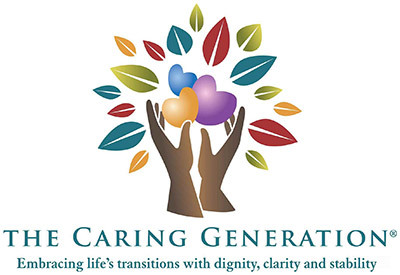 The day to day situations of the elderly and disabled change; a client living at home one week may be hospitalized and permanently transferred to a care community the next week or may unexpectedly pass away. These life changing situations threaten consistent employment for caregivers working in private homes. A caregiver recently told me that she worked 100 hours a week, including overnight shifts. She was proud of her efforts. The thought that lingered in my mind was the quality of care and attention that she provided to her clients. Home care positions are often emotionally and physically draining especially if the client has a diagnosis of dementia. How much attention to detail can occur when a caregiver is working so many hours that sleep may be at risk? How many errors might occur that are detrimental to the client? A lack of training also results in industry challenges for home care workers who are considered companions. Caregiving is an industry with easy entry and few skill requirements. Many caregivers serve as companions versus completing certified nursing assistant training. Agencies often rushed to fill shifts will hire warm bodies with an interest in caregiving. And due to the aging population, the number of agencies continually opening for service continues to rise. Interpersonal communication and professional boundaries represent other significant concerns. Most caregivers have good hearts and lack common sense related to ethical conduct, professional behaviors, and boundaries. Boundary issues exist between caregivers wishing to be helpful and those taking advantage of clients by accepting gifts or becoming part of the family—more of a boundary issue on the part of the family who becomes attached to individual caregivers. Some elderly have been known to place caregivers in their wills and to sign over homes, automobiles, and property in return for care. Because in home caregivers work in the homes of clients and are largely unsupervised, errors in judgment may occur that result in potential harm to clients. Elderly clients, not wanting to cause problems for their caregivers—who consistently report about their own unfortunate personal and family issues— often say nothing and experience theft and other adverse conditions. The effects of this ruling are yet to be seen. Will caregivers who might have worked for a single agency now find it mandatory to work for more than one agency to achieve the desired income due to the 40-hour a week limitation? Will the 40- hour a week limitation make it more challenging for agencies to fill shifts due to the requirement of a larger caregiver pool? Will the quality of available caregivers continue to be an issue? Will agencies be forced to raise pay rates and correspondingly raise the hourly rate charged to clients—many of whom already find the hourly charges barely affordable— in order to retain homecare workers? Will families experience more multiple caregivers in their homes due to the 40-hour a week requirement? What are the risks to the elderly and disabled of having multiple caregivers, who have little or no oversight, in their home in a single week? Will the frequency of elder abuse issues increase? Will families trend away from agencies employing caregivers to directly hiring caregivers? Will families view employing in home caregivers as a hassle and instead more readily move family members into care communities and nursing homes, thus increasing the burden on Medicaid? The regulation, originally to go into effect January 1, 2015 was delayed by appeal. The new timeframe for implementation was as early as September 21, 2015 however there may be some type of transitional timing allowed for good faith efforts to comply. I believe the effects of implementation will place additional strain on homecare agencies to find and retain appropriate caregivers. Families will also face ongoing concerns regarding consistent and qualified caregivers coupled with possible rate increases that may change decisions to support loved ones in their homes versus the perception that moving to a care community would be an easier solution. Home > Will the Elderly & Disabled Benefit or Suffer from the Recent Department of Labor Homecare Ruling?